Each is worth a read but we've also got loads of juicy material below covering issues such as the ASX takeover, a News Corp shareholder resolution plan, the passing of Macquarie founder David Clarke, codes of conduct breaches by councillors, Rich Listers, the anti-pokies campaign, capital raising plays and plenty more. With three boards tilts in the month of May alone, it almost feels like the crazy post-Olympic days of 2000 when there was 9 board contests in two months, as this sorry election record of Australia's most unsuccessful candidate demonstrates. The nomination for the Australian Shareholders' Association board is detailed further down in the "tales from the talk circuit" section and the Santos tilt was well explained by Cameron England in this story carried by The Advertiser in Adelaide. Why have the Santos directors refused to engage on the issue of retail investors being deliberately diluted through a $500 million discounted institutional placement at $12.55 a share to the big end of town last December? The company's 110,000 retail shareholders have been provided with all the arguments to consider in the director elections, yet the board has remained completely silent. No doubt the retiring directors will be returned by those undisclosed institutional investors who are now enjoying a collective profit of $120 million or 24% in just 4 months. I met with Santos chairman Peter Coates for an hour in Melbourne on March 2 and we vigorously discussed the company's failure to offer its retail investors a share purchase plan on the same terms as the discounted institutional placement. It is disappointing that his arguments have remained private and Santos will therefore be conducting its first ever contested board election in an information vacuum. Full marks to Santos for not censoring my board nomination platform in the notice of meeting for the May 5 AGM, which was released to the ASX on Wednesday. Last night's Rio Tinto gathering in London had arguably the most wide-ranging group of agitators ever assembled at a public company AGM. It started out with two institutional investors, including Guy Jubb from Standard Life who is responsible for 30 million Rio shares, speaking out strongly against the remuneration report which is clearly going to face a serious protest. Mr Jubb demanded a full scale review of remuneration practices be presented for approval at next year's AGM but chairman Jan du Plessis would only pledge to doing this over the next 18-24 months. After all the chaos of recent years, Rio claimed a pay review would have been too distracting. A couple of small shareholders, including the representative from the UK Shareholders' Association, celebrated this rare event of institutions actually turning up and speaking at a public company AGM. It sounds like the Brits have the same problem as Australia and the US when it comes to lack of institutional engagement at AGMs. In terms of genuine small Rio shareholders, there weren't too many grievances aired except a major spray at Computershare's "filthy service" and a complaint that the AGM clashed with BP's, something Rio might have tried avoiding given that one of its directors, Vivienne Cox, was a senior executive at the oil giant until mid-2009. BP's management committee now comprises these 12 blokes and Vivienne could well have been the bright spark who suggested a clash with BP given it was always going to get heat over the biggest oil spill in history. Look no further than this Emma Alberici story on ABC radio's AM program on Friday morning. The debate at the Rio Tinto AGM was quite extraordinary, yet in the first 24 hours it only generated this story in The Independent about pollution from the mines in Utah which will produce the metal for the 2012 London Olympics. It wasn't until The Weekend Australian came out that Matt Chambers covered the interesting debate about the possible future development of the Jabiluka uranuim mine in Australia's Kakadu National Park. And it took until Monday for The Australian to re-run this story from The Sunday Times about the Standard Life protest vote against Rio's excessive pay practices. Standard Life is the third largest shareholder with 1.9% so it isn't to be trifled with. Way back on Thursday night, the chairman became quite frustrated by the flood of environmental, social and human rights issues coming at him from right across the globe, declaring at the end of the AGM that Rio was "a great company which takes its responsibilities incredibly seriously". He said he was "incredibly proud to be the chairman" but refused to answer the earlier question from a shareholder called Richard when it came to my election about exactly what social, environmental and human rights skills he brought to the table. Richard declared that du Plessis hailed from "South Africa's apartheid era tobacco industry" and wondered whether these were the sorts of skills and perspective needed at the helm of Rio. The chairman looked a bit stunned and moved on to the next question. In terms of the different NGOs and agitators present at the AGM, my favourite was the representative from East Kalimantan in Indonesia decrying the human rights abuse that Rio Tinto admitted to before closing the Kelian Mine in 2003. Then you had a Canadian who slammed Rio for owning 42% of Ivanhoe Mines which has placed its Burmese mining assets into a trust, as part of the original commitment when it first joined the register. CEO Tom Albanese simply claimed the assets remained in a Canadian trust but wouldn't be drawn on who was profiting from this joint venture with the brutal Burmese military regime. Another shareholder claimed to represent "Mongolian Civil Society" and expressed concerns Rio Tinto had only proved up water resources for 6 years of operation at its giant Oyu Tolgoi copper-gold project in Mongolia, but was steaming ahead with development and talking about a 60-year mine life. Tom Albanese admitted more permits were outstanding and the Mongolian desert was tough going, but he also claimed much of the area's infrastructure was chaotic and poorly regulated and the aquifer Rio was accessing was completely separate from the water table. Other issues to get a run included the 4 month lock-out of workers at Rio's Borax operation in the Californian desert. Agitators who had travelled over from California claimed both the strike-breakers and the labour force were still being treated poorly. The perennial issue of tailings at the giant Grasberg mine in West Papua got another run, with one shareholder labelling it "the worst mine in the world". The only person who wasn't complaining at the Queen Elizabeth II Conference Centre in Westminster last Thursday night was AWU national secretary Paul Howes who launched a ridiculous attack on the "monkeys" who run Rio recently and presumably is keeping his powder dry for the May 5 Australian AGM in Perth. Unfortunately, the Rio and Santos AGMs clash on May 5, so we will be in Adelaide for Santos and are looking for a proxy to represent us at Rio in Perth on the same day. In 40 public company board tilts, this has only happened once before with Centro Retail and BHP-Billiton in November 2008. Rio went to the trouble of beaming in director Richard Goodmanson from Melbourne to London last Thursday and one shareholder did inquire why the same facility hadn't been offered so I could be heard. What an excellent idea. We'll be formally requesting that Rio makes some sort of video link available from Adelaide on May 5. 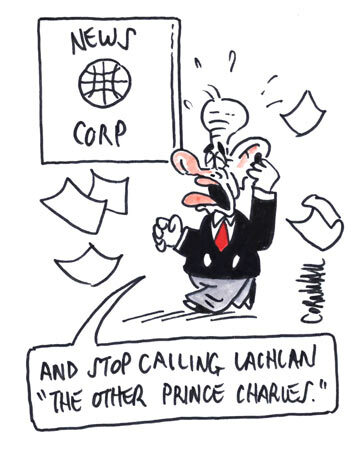 From the Crikey press room...are we too obsessed with Rupert and News Corp? Murdoch, Hitler, 1983, beat-ups...doesn't this all sound so familiar? Mayne: will collapse of NSW Right empower Gillard on pokies? 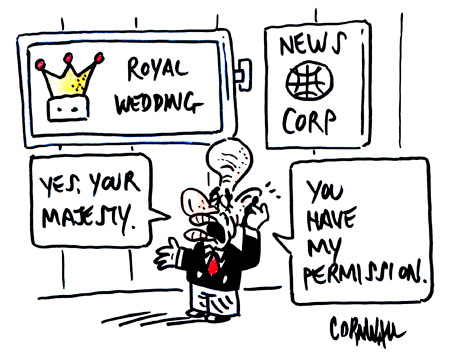 Did News Corp shareholders pay Murdoch family's $77m tax bill? After a decade of under-performance, is it time for Rupert Murdoch to go? Hmmm, that's 8 out of 14 Crikey stories in 2011 focusing on Rupert Murdoch, his sons and News Corp.
We're either obsessed or the old man is getting even worse in his dotage. I reckon it's the latter. So far in 2011 we've had admissions of tax avoidance, an over-priced nepotistic takeover deal, admissions about illegal phone tapping and more stacking of the News Corp board. It has obviously come as a tremendous shock to Rupert Murdoch and his senior executives to discover his company's biggest-selling newspaper, the News of the World, has been systematically and illegally hacking the private voicemails of public figures for years. Not least because it suggests the absence of a vital piece of equipment Murdoch and his News Corporation executives have for decades steadfastly maintained they use on an everyday basis in running their global media company. Crikey understands the search for the missing device is now a matter of high priority within the Murdoch empire. James Murdoch, son and heir apparent, is said to be masterminding the international search for the vital piece of equipment, assisted in Australia by his brother Lachlan, who developed a familiarity with the devices when he studied ethics at Princeton University. 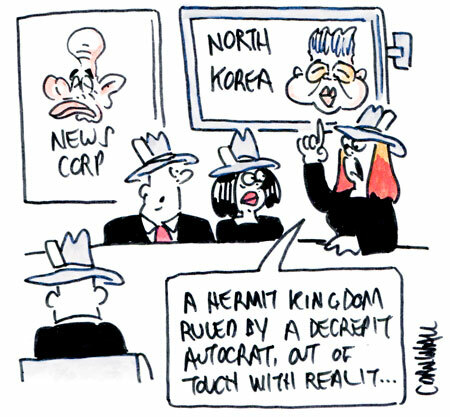 The big concern within News Corp, according to company insiders, is that failure to immediately locate the instrument will create a disastrous impression that the company has been operating – possibly since its inception in the early 1950s – without it. The pursuit coincides with another News Corp derby – the race to keep hundreds of potential litigants whose phones have been hacked (including a former deputy prime minister) out of the British courts. May we suggest a much more straightforward approach – a metal detector could be just the thing to find that missing moral compass. Anyone up for a shareholder resolution against Rupert's gerrymander? Indeed, such is the stench surrounding News Corp these days that 2011 is surely the year for another shareholder resolution to try and unwind the notorious gerrymander that denies voting rights to 70% of the shares on issue. I'd happily do it myself in a repeat of the excellent exercise first pioneered in 2007, save for the fact that I haven't owned the necessary $US2000 worth of News Corp stock continuously for the past 12 months. If there is anyone out there who has suffered those pitiful dividends and continuing share price underperformance over the past year and would like to put a shoulder to the wheel, please email Stephen@maynereport.com. The paperwork will need to be submitted some time in May and check out this account of what happened in 2007 when the US Securities & Exchange Commission backed our shareholder resolution against a News Corp attempt to reject it and then 60% of the independent shareholders voted in favour of unwinding Rupert's notorious dual class voting structure which cements his reckless control of News Corp.
After asking questions at almost 400 Australian public company AGMs since 1998, you become quite familiar with both the style and substance of many Australian business leaders. There have been more than 10 different encounters with Rupert Murdoch over the years and when it comes to running an AGM he is an absolute shocker: rude, dismissive, contemptuous, deceptive and dictatorial. Whilst Rupert clearly detests AGM debate, I've probably sat through about 15 hours of meetings chaired by the Sun King, about 3 hours of which has been taken up with direct debate. The only other person who gets close to those numbers on engagement is David Clarke, the co-founder and long-time chairman of Macquarie Group who died two weeks ago after a battle with cancer. I've attended 8 Macquarie shareholder meetings chaired by David Clarke since 2001 as you can see in this package. Given that Macquarie AGMs run much longer than News Corp this would probably entail about 20 hours of meeting time and two hours of direct engagement. It is a truism in life that newspaper editorials tend to glorify the dead and David Clarke was certainly sent upstairs with a chorus of approval for a life well lived. 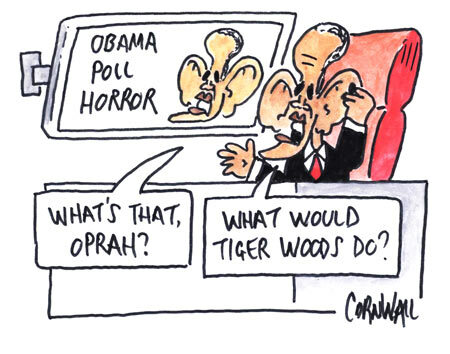 Here's a sample from Stuart Washington in The SMH and a feature in The Australian. Some of the praise for Clarke's work outside of Macquarie was probably a bit over the top. Goodman Fielder didn't work that well, Goodman Group has been a shocker for those who stuck around and Australian Vintage also under-performed. I've no doubt David did some great work with the Australian Rugby Union, Opera Australia and The Salvos and he certainly should be praised for the sheer scale of the $145 million given away by Macquarie's charitable foundation over the years. But at the end of the day the guy should be praised long and hard for the truly outstanding achievement of launching and building Macquarie over three decades. Everything else is in the shadow of that. The Mayne Report foreign ownership lists make the fundamental point that Australia does not produce enough genuine players on the global corporate stage. Macquarie, along with the likes of Billabong, Computershare, CSL, Westfield and QBE, is an exception to this rule. Back in 1997 when working as Herald Sun business editor, I was the person who gave Macquarie its now widely used nickname, The Millionaires Factory. This nickname alone has led to tens of thousands of additional job applications arriving at Macquarie over the past decade as graduates aspire to become millionaires themselves. It didn't help when running for the Macquarie Bank board in 2006, but at that AGM, as with every other, Clarke's chairing was superb. Indeed, Clarke was the best AGM chair I've dealt with. He never lost his cool no matter what you threw at him, he was perfectly across his brief, he didn't dominate or try to overshadow other executives and he was urbane and polite. If in political life he would have made a superb Foreign Minister, building trust and respect through diplomacy whilst retaining a tough resolve behind the gentlemanly veneer. It was clearly these skills which helped keep and build the Macquarie team of champion bankers over such a long period. How else would you manage all that intellectual capital and ambition. Clarke deserves praise for keeping risk management high on the agenda at Macquarie going into the GFC and also for studiously sticking by Macquarie's contentious pay model over a 30 year period. He knew it was a winning formula to hire the best and brightest and give them strong incentives within overall risk management boundaries. However, when the remuneration voting was going against him in 2008, he sniffed the breeze at just the right time and reduced short term cash bonuses in a shift to more pay through shares. The webcast from the 2008 AGM clearly shows Clarke laughing when Nicholas Moore was put on the spot about owning 25% of a banking industry magazine which had awarded Macquarie the "Investment Bank of the year" prize in 2007. That's what was great about David. He was clearly incredibly smart and a brilliant networker but he could have a laugh and didn't have the huge ego that you see with so many other corporate heavies. Vale David Clarke, if only there were more business leaders like him in Australia. It was good to see Bluescope Steel introduce a new director into the club last month when former Leighton Holdings external affairs boss Penny Bingham-Hall was appointed to the board. In terms of high callibre external affairs manager, Penny was one of the best I've dealt with over the years. Indeed, for mine there are three female PRs who have risen through the consulting and executive ranks and could mix it on any corporate board, namely Penny Bingham-Hall, Sue Cato and Gabrielle Traynor. Congratulations also to Adelaide Brighton which appointed former banker Arlene Tansey as its first ever female director a couple of weeks ago. Adelaide Brighton's new chairman Chris Harris called to make sure we knew about this after raising it at the AGM last year. After a series of scandals involving bad behaviour by local councillors, the former Victorian Labor Government finally acted in 2008 when it introduced some sweeping changes to the Local Government Act. The Municipal Inspector was created to criminally prosecute those councillors who broke the law and a tool known as Councillor Conduct Panels were established to allow relatively low cost and lawyer free hearings into alleged breaches of council codes of conduct. Warrnambool: Five councillors, led by mayor Michael Neoh, took action against Cr Peter Hulin for leaking confidential information to The Warrnambool Standard that a Melbourne builder had been awarded the contract to build the Warrnambool Harbour Pavilion project when a local competitor was only $35,000 more expensive. The journalist gave evidence at the one day hearing and Cr Hulin was reprimanded, ordered to apologise and required to take media training plus find a local government mentor for 12 months. In political terms, the proces has arguably made Cr Hulin even more popular as he has been seen to be standing up for local business. Read the full 6-page panel report released in October 2009. Moira Shire: Mayor Ed Cox instituted a panel against Cr Garry Jones for urging traders to call for a log cabin to be removed from a shopping strip when he allegedly should have known that this removal was not necessary to get the proposal moving ahead. Read the 4-page panel report released in July 2010 which cleared Cr Jones saying his communications were robust but did not constitute a breach of the code of conduct. Bayside: A female councillor, Felicity Frederico, initiated a panel against former mayor James Long over a derogatory comment allegedly made at a council meeting relating to the appointment of a female local government ambassador. The complaint was dismised as "lacking in substance" as a point of order wasn't even called at the time. Read the full 10-page panel report released in July 2010. Manningham: former deputy mayor Fred Chuah was found guilty of three counts of misconduct and ordered to apologise to the council and a fellow councillor over comments made and his role in the attempt to triple the size of the nursing home he chairs in a Green Wedge zone. Rather than apologise he resigned, citing ill health and is now appealing the findings at VCAT. Read the full 40-page panel report released in November 2010. Greater Dandenong: a two page panel report released on December 7, 2010, which reprimanded Cr Maria Sampey for calling Cr Angela Long a "b*tch" at a council weekend treat and stating that she "did not have a brain" during a council meeting. Both comments were heard by other parties and the panel formally reprimanded Cr Sampey and ordered she take some remedial training. This sort of effort will probably get Cr Sampey on our coming list of the 50 Victorian councillors who should not be re-elected in 2012. Councillors subjected to a panel have the option of taking the matter straight to VCAT and that is what the troublesome Belinda Clarkson did to Nillumbik earlier this year. The Nillumbik action was to be taken by the council as a whole, rather than individual councillors, but the mistake they made was loading up too many separate charges. Council pays the legal costs for all parties at VCAT, so Cr Clarkson could have hired a QC for $8000 a day to battle away over every last point in a hearing which was tipped to last more than a week. Faced with a potential 6 figure legal bill, Nillumbik walked away. Cr Clarkson was the Family First candidate for McEwen at the last Federal election and will definitely be on the list of councillors who should retire at the 2012 elections. Compared with everything you've read above, former Manningham deputy mayor Fred Chuah has blazed a path-finding trail where no-one else has feared to tread over the past 15 months. To start with, he used a QC to argue for legal representation at the panel hearings which were designed to be informal lawyer-free forums to resolve disputes. Whilst he was allowed to have counsel in the room during the 4 days of hearings, the lawyer wasn't running the show so it didn't impede the free flow of exchanges. Fred Chuah's 40-page panel report was longer than the other 4 panel reports combined. Unlike all the precedents, Fred Chuah decided to challenge the findings in VCAT after the exhaustive hearings. And he's doing so from the position of a being former councillor, which means there aren't exactly any sanctions which VCAT can apply. There was a directions hearing before senior panel member John Billings at VCAT on Friday. Mr Chauh's lawyers sought an adjournment of the hearing on the grounds of ill-health. VCAT previously determined that the two Panel Members, barrister Peter Harris and former Yarra councillor Jenny Farrar, were to be the respondents. However, they do not believe that they should be active participants in the review but should simply agree that they will abide by VCAT's decision. This raises the obvious question of who will be the contradictor in this important precedent setting first CCP appeal at VCAT. The original action was taken by Cr David Ellis, with Crs Grace La Vella and Stephen Mayne joining later in the proceedings. Crs Ellis and Mayne have expressed an interest in being joined as co-respondents, but were a little reluctant on being told the panel members who made the original decision were seeking to be excused. At the hearing on Friday the tribunal granted an adjournment to 3 June. The tribunal also directed that Crs Ellis and Mayne prepare written submissions in relation to them being joined as parties by 20 May. Mr Chuah's lawyers then have until 27 May to consider the submissions and to put in writing their position on joinder. The parties were also requested to meet to establish matters on which they could agree (in relation to the way the matters may proceed) and where agreement is reached to forward this to VCAT as a proposal of consent. In other developments, the service provider which Fred Chuah chairs continues to sue Crs Ellis and Mayne for defamation in the Victorian Supreme Court as was explained in our March 25 email edition. When it comes to councillor conduct, the other option for State Governments is just to sack the entire council. Apart from when Jeff Kennett sacked all 210 councils in 1993, this happens much more frequently in NSW than Victoria. 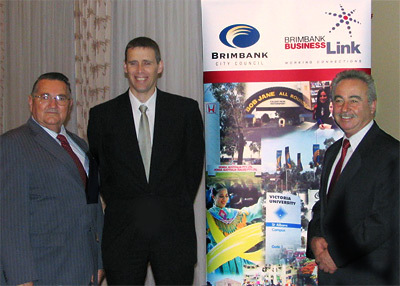 Indeed, Brimbank was the only council to be sacked by John Brumby and that was more about a factional power play to side-line Labor's right wing factional heavy George Seitz, pictured below with sacked Brimbank mayor Troy Atanasovski and your truly after a business breakfast three years ago. 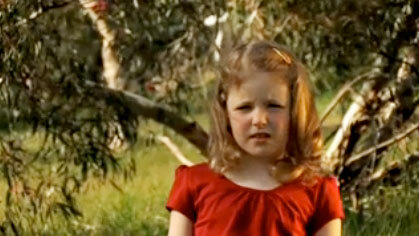 When The Mayne Report first launched in 2007 we were posting daily videos on our Youtube channel. Alas, the cost and time of in-house video production, plus the lack of any revenue, made this model unviable. Besides, daily videos wasn't necessarily the best way to campaign for better corporate governance through shareholder activism. In the end, it made more sense to channel our efforts into appearing on other people's videos, such as these two appearances last year on Ten's The 7pm Project, rather than trying to build an audience from scratch. However, when you look back at all the video we've got spanning our own productions, one-off interviews, profiles or lengthy interviews such as Nine's Sunday program or ABC TV's Talking Heads, the regular spot on Sky's Business View and webcasts of AGMs, it turns out we've got a rather large library of material. Cross-posting has become much easier now, so we have relaunched our Youtube channel and hope you enjoy our many playlists of material. If you have the right app, you can view the videos on the go using any mobile device. We did most of the work for this new list on February 18 so the market capitalisation figures may have generally moved higher since, but we're not aware of any other attempt to track every listed company globally with a market capitalisation above $US100 billion. 1. Exxon-Mobil: market capitalisation of $US418 billion after revealing $30.5 billion annual profit in 2010 on revenue of $US383 billion. Have bought back a world record $US175 billion worth of shares over the past decade so has about $10 billion of net debt. 2. Apple: market capitalisation of $331 billion and has $60 billion in cash but never paid a dividend. Revenue in 2009-10 was $65 billion and net profit $US14 billion but after boomer first quarter result this could hit $US20 billion in 2010-11. 3. BHP-Billiton market capitalisation of $260 billion. $10.5 billion net profit for December 2010 half on revenue of $34 billion. Returned $29 billion through dividends and buy backs over past 5 years. 4. General Electric: market capitalisation of $228 billion and in 2010 delivered annual profit of $US12.6 billion on revenue of $US150 billion. 5. Petrobras: market capitalisation of $R379 billion ($US223 billion) and produced annual profit of R29 billion ($US17 billion) in 2009. 6. Microsoft: market capitalisation of $226 billion and holds $US41 billion f cash. In 2010 delivered a profit of $18.76 billion on revenue of $US62.5 billion. 8. China Construction Bank Corp: only a limited free float given dominant government shareholding but based on Hong Kong listing has a nominal market capitalisation of $US214 billion ($HK1.67 trillion). 9. Berkshire Hathaway: market capitalisation of $US210 billion and has almost $50 billion in cash but never paid dividend. Annual revenue of about $60 billion and net profits average around $4 billion. 10. HSBC: market capitalisation of $US205 billion. 11. IBM: market capitalisation of $US202 billion. 12. Google: market capitalisation of $200 billion and holds $35 billion in cash because doesn't pay dividends or do buybacks. In 2010, revenues hit $US29 billion and generated net profit of $US8.5 billion. 13. Walmart: market capitalisation of $195 billion and in 2009 sales hit $US405 billion and earnings were $US14.4 billion. 14. Chevron: market capitalisation of $194 billion and 2008 was the record year with annual profit of $US24 billion on revenue of $US264 billion. 16. Nestle: Europe's largest food company has a market capitalisation of $US188 billion. 19. Wells Fargo: market capitalisation of $US177 billion. 20. Vale: the Brazilian iron ore giant has a market capitalisation of $US175 billion. 21. Rio Tinto: market capitalisation of $US173 billion and reported 2010 net profit of $14 billion on revenue of $US56.6 billion. 22. Gazprom: market capitalisation of $US162 billion. 23. Toyota: the world's biggest car maker has a market capitalisation of $US161 billion. 24. Pfizer: market capitalisation of $153 billion and generates about $50 billion a year in revenue and annual profits of $US8 billion. 25. Vodafone: London-based mobiles giant with a market capitalisation of $152 billion. 26. Bank of America: market capitalisation of $US149 billion. 27. BP: market capitalisation of $US147 billion. 28. Total: France's biggest oil producer and Europe's number three has a market capitalisation of $US138 billion. 29. Siemens: the German giant has a market capitalisation of $US111 billion. 31. Hewlett Packard: market capitalisation of $US105 billion. 32. Cisco Systems: market capitalisation of $US103 billion. 33. BASF: world's biggest chemical company which has a market capitalisation of $US101 billion. If we've missed any, please email Stephen@maynereport.com. It will be interesting to see where tax dodging global commodity trading giant Glencore fits on this list, once it completes its capital raising and listing on the UK and Hong Kong exchanges. The UK AGM season is particularly focused between the second week of April and the first week of May and if Glencore falls into that category next year it would be very tempting to try and raise the finance for an extended trip. As a shareholder activist it would also be great to have engaged with more of the biggest companies in the world. As it stands today, we've only engaged with two of them, BHP-Billiton and Rio Tinto. Australians are the world's biggest gamblers courtesy of the 200,000 poker machines spread across Australia. So much has been written about the pokies of late that it is difficult to know where to start. Firstly, check out these two-pokies related stories for Crikey in April. It was very disappointing to see legendary crime writer Andrew Rule allow himself to be used by the pokies industry to discredit independent MP and anti-pokies campaign Andrew Wilkie. It was also quite illuminating that outgoing NSW Premier Kristina Keneally would choose to accept defeat at a pokies venue worth $28 million owned by the NSW ALP. In other pokies developments, Manningham has decided not to implement a differential rate on pokies venues in the 2011-12 budget, but the issue will be examined closely ahead of the 2012-13 financial year. These things shouldn't be rushed and we'll need to get all of the processes, policies and legalities right. Stephen, I can confirm that Spirit Hotels (a subsidiary of Coles Limited) is a member of the Queensland Hotels Association (QHA). Membership of the QHA costs about $150,000 a year. Spirit Hotels has not been asked by the QHA to contribute any funds to the campaign coordinated by the NSW Clubs and pubs. My understanding is that the campaign is being funded from a levy on NSW hotels (based on a contribution per EGM) with support from the AHA in Canberra. Spirit Hotels does not have a position on the proposed changes to the poker machine regime being considered in Canberra. We will wait until we see final decisions arising from the process before we make any public comment on the issue. In the interim, Spirit Hotels/Coles continues to support the existing Ministerial guidelines on responsible gaming, and position itself as a best practice gaming manager in its hotels in Queensland. As you are aware, we have already put in place a range of measures recommended by responsible gaming campaigners such as Paul Bendat and we have recently started a voluntary pre-commitment trial in Queensland to get a better understanding of the logistics of the system and possible customer response. Happy to discuss further and provide additional information. Such an enlightened tone from Coles - the contrast with Woolworths is stark indeed. Finally, check out the latest from Paul Bendat's Pokieact website and this package of our past pokies coverage. Does anyone remember back to 1992 when colourful Sydney advertising identity John Singleton was one of six Australian investors alongside Canadian company CanWest which took the Ten Network out of a Westpac-directed receivership through a sale orchestrated by one Malcolm Turnbull. At the time, it was pointed out that a shareholding in a media company was a breach of the advertising agencies' media accreditation rules. To this Singleton Advertising cheerfully retorted that it wasn't accredited so Singo himself didn't care. What, then, does one make of the relationship between Woolworths and its advertising agency in Auckland? Which agency? Ogilvy, the old Singleton shop. Ogilvy in Auckland is run by self-made advertising millionaire Greg Partington, who, just like Singo, is forthright, highly individualistic and disliked by many - including his own staff. According to a story published in Auckland last month, Partington quelled an internal revolt over his style of management, including perceived conflicts of interest, by giving the whole agency an ultimatum that they could leave if they didn't like it but nothing else was changing. But the conflicting interests are quite interesting. Notably, Partington owns an agency through an intermediary company, Waitapu, called Hypermedia. Hypermedia was last October granted sole rights to the in-store retail promotions of Woolworths' NZ arm, Progressive Enterprises. Progressive, which mainly operates its supermarkets through the Countdown brand, is the biggest single grocer in NZ - although the combination of two co-operatives from the rival Foodstuffs stable, Pak N Save and New World, has a bigger market share. Progressive's advertising agency in NZ is Ogilvy - of which Partington owns 35%. Just smart commercialism on the part of Partington and Ogilvy or something else? Consider this. If a large FMCG client of Ogilvy's (such as Nestle, Kimberley Clark or Coca Cola) decided to launch a major marketing campaign through Foodstuffs, how is the agency's management of that campaign not compromised by its vicarious association with Progressive? Would 35% shareholder and agency CEO Partington really not spill the beans to Woolworths to protect his 100% relationship with them? Put another way, what employer would ordinarily allow an employee, let alone its biggest, to engage in conduct that is almost entirely competitive with its own? Here's another potential situation. What if Woolworths decided to review its advertising across both sides of the Tasman and align to one of its current agencies - M&C Saatchi or Clemenger? How is that decision not influenced by the fact that would affect the personal interests of a powerful operator of the very profitable and sensitive revenue streams that arise from in-store promotion? It certainly seems odd from a retailer that famously revolves its buyers every few years so they don't get too close to their suppliers. Auckland is a small place. But it's not so small that either Ogilvy or Woolworths can't find someone with fewer conflicts of interest to do business with. The world is once again talking about unsustainable sovereign debt levels after the US credit rating was placed on a negative outlook. Whilst Australia has relatively low levels of sovereign debt, it was very strange to hear Reserve Bank governor Glenn Stevens make the following statement in 2010: "There is virtually no net public debt in the country at all in contrast to much of the developed world." The Federal Government's own debt management website puts the gross debt figure at $189 billion and the bond issues are continuing at a rapid rate. Both sides of politics try to quote a net debt figure which includes the $60 billion held by the Future Fund. But this is outrageous double counting because Future Fund reserves are specifically set aside to pay for public service superannuation liabilities which are still more than $50 billion unfunded. Friday, April 15, 2011: $700m tender of 3 year bonds expiring in October 2014 were sold for an average yield of 5.24% and was over-subscribed 3.96 times. Thursday, April 14, 2011: $500m tender of 3 month treasury notes expiring in July 2011 were sold for an average yield of 4.78% and was over-subscribed 8.23 times. Wednesday, April 13, 2011: $500m tender of 11 year bonds expiring in July 2022 were sold for an average yield of 5.66% and was over-subscribed 5.14 times. Tuesday, April 12, 2011: $140m 19 year indexed bond issue with 2.5% escalator which expires in September 2030 and produced a yield of 2.735% and was 4.07 times over-subscribed. Friday, April 8, 2011: $700m tender of 5 year bonds expiring in June 2016 were sold for an average yield of 5.36% and was over-subscribed 3.73 times. Wednesday, April 6, 2011: $500m tender of 7 year bonds expiring in January 2018 were sold for an average yield of 5.43% and was over-subscribed 5.39 times. Friday, April 1, 2011: $700m tender of 3 year bonds expiring in October 2014 were sold for an average yield of 5.14% and was over-subscribed 6.76 times. Wednesday, March 30, 2011: $500m tender of 9 year bonds expiring in April 2020 were sold for an average yield of 5.47% and was over-subscribed 4.76 times. Friday, March 25, 2011: $700m tender of 2 year bonds expiring in December 2013 were sold for an average yield of 4.95% and was over-subscribed 2.83 times. $500m tender of 10 year bonds expiring in May 2021 were sold for an average yield of 5.44% and was over-subscribed 4.46 times. Friday, March 18, 2011: $700m tender of 3 year bonds expiring in October 2014 were sold for an average yield of 4.98% and was over-subscribed 3.23 times. Wednesday, March 16, 2011: $500m tender of 7 year bonds expiring in January 2018 were sold for an average yield of 5.31% and was over-subscribed 3.5 times. Wednesday, March 9, 2011: $500m tender of 2 year bonds expiring in May 2013 were sold for an average yield of 4.99% and was over-subscribed 6.07 times. Friday, March 4, 2011: $700m tender of 3 year bonds expiring in October 2014 were sold for an average yield of 5.27% and was over-subscribed 5.23 times. Wednesday, March 2, 2011: $500m tender of 11 year bonds expiring in July 2022 were sold for an average yield of 5.54% and was over-subscribed 4.31 times. Friday, February 25, 2011: $700m tender of 5 year bonds expiring in June 2016 were sold for an average yield of 5.39% and was over-subscribed 3.7 times. Wednesday, February 23, 2011: $500m tender of 7 year bonds expiring in January 2018 were sold for an average yield of 5.48% and was over-subscribed 4.51 times. Friday, February 18, 2011: $700m tender of 2 year bonds expiring in December 2013 were sold for an average yield of 5.19% and was over-subscribed 5.52 times. Wednesday, February 16, 2011: $500m tender of 11 year bonds expiring in July 2022 were sold for an average yield of 5.74% and was over-subscribed 4.63 times. Friday, February 11, 2011: $700m tender of 3 year bonds expiring in October 2014 were sold for an average yield of 5.37% and was over-subscribed 3.91 times. Wednesday, February 9, 2011: $500m tender of 7 year bonds expiring in January 2018 were sold for an average yield of 5.70% and was over-subscribed 3.94 times. Friday, February 4, 2011: $700m tender of 1 year bonds expiring in November 2012 were sold for an average yield of 4.99% and was over-subscribed 5.11 times. Wednesday, February 2, 2011: $500m tender of 9 year bonds expiring in April 2020 were sold for an average yield of 5.55% and was over-subscribed 4.7 times. Australia's largest and oldest digital advertising agency, Hyro Ltd, has come up with an innovative way of handling a discounted capital raising that got flooded with applications for additional shares. Check out the announcement here. Given that the stock was trading at 0.4c, it was no surprise the company was flooded by applications in a rights issue pitched at 0.2c. The total offer was for $3.94 million worth of shares and the entitlement applications amounted to $3.26 million, leaving a shortfall of only $680,000. Lo and behold, CEO Bill Votsaris had an underwriting agreement to pick up $300,000 worth of shortfall shares at the discounted price of 0.2c. That was almost half the entire shortfall. Talk about an embarrassment of riches and a completely inappropriate arrangement. After the offer was deluged with shortfall applications totalling $2.6 million, the Hyro CEO magnanimously surrendered his lucrative underwriting arrangement to allow other shareholders to participate. It is disappointing that Hyro is still yet to release its allocation policy. I'm a shareholder but didn't apply for any extra shares due to cash flow issues so won't be able to report back on this one through experience. Surely any company which is issuing shares on a non-pro-rata basis should disclose the basis of the allocations and the details of all recipients. Terrence Allen: the former CEO and chairman of Herald Resources who resigned in August 2008 still owning about 15m shares. The stock peaked at almost $3 in July 2008 when he was worth more than $40 million, and bottomed at 10c in December 2008, but was taken over in 2009 at 93c. Ron Englehart: a veteran residential property developer in Melbourne's eastern suburbs who owns two blocks within the booming Doncaster Hill development zone. Bill Gibbins: founder of trucking company FCL which was sold to LinFox. Spent part of his fortune paying $1.7 million in 2007 so the Rats of Tobruk could remain in their Melbourne building, in a sale which was largely the work of The 7.30 Report. Paul Philips: the CEO of industrial machinery company Bensons who sold his Centennial Park home for more than $5 million in early 2011. His wife Kay Philips runs the successful Soik and Cookies sleepwear brand. Ian Waller: the co-founder and CEO of insurance comparison website Iselect has a stake estimated at $30-$50 million after a capital raising in early 2011 valued the whole business at about $300 million. It has been a fairly quiet time on the capital raisings front. This is how the quarterly gains have unfolded since capital raisings became the main revenue generator for The Mayne Report after we put together the world's biggest small share portfolio which now comprises about 650 holdings worth less than $30,000. Silex Systems: $15,000 into SPP at $5.40 or 10% discount to VWAP. Came in at $5.08 and exited at $5.50 for gain of $1220. Golden West Resources: $1000 into $15,000 SPP at 80c. Exited at 77c for loss of $38. Innamincka Petroleum: $10,000 into 1-for-3 entitlement offer at 11.5c with overs. Scaled back to allocation worth about $30. Neptune Marine: $5000 into 3.6-for-1 entitlement offer at 5c with overs. Exited at 5.1c for gain of $70 after brokerage. Lincoln Minerals: $5000 into 1-for-7 entitlement offer at 15c with overs. Exited at 14.4c for loss of $200. Engenco: $10,000 into 8-for-9 entitlement offer at 12c with overs. Got full allocation and exited at 12c for $30 loss on brokerage. Bunnings Warehouse Property Trust: $5000 into 1-for-4.84 entitlement offer at $1.70 with overs. Exited at $1.725 for gain of $43 after brokerage. Altona Mining: $1000 into 2-for-5 entitlement offer at 31c with overs. Exited at 29c to lose $94 including brokerage. Australian Education Trust: $2000 into 3-for-10 entitlement offer at 75c with overs. Closed April 18 and trades April 29. Lynas Corp: $5000 into SPP at $2.07 after placement. Closes April 21 and trades May 3. Ausdrill: $15,000 SPP at $3.50 after placement. Closes May 11 and trades May 19. Dart Mining: 5-for-22 entitlement offer at 75c. Closes May 13 and trades May 24. Leighton Holdings: 1-for-9 entitlement offer at $22.50 with no overs. Closes May 6. Symex Holdings: 5-for-14 entitlement offer at 42.5c with overs. Closes May 10. Wayne Swan was right to block Singapore's ASX takeover. In fact, it's amazing the whole debate lasted for as long as it did. Why on earth would you launch such a bid 7 weeks after Australian voters delivered the most fragile Federal Parliament in recent history when it was always known that legislation was needed to get through both houses if the deal was to be approved. Foreign investment should be welcomed in Australia but Singapore isn't exactly a democracy and the Singapore Government already owns more business assets in Australia than the Australian government, as was explained in this 2007 opinion piece for The Sunday Age. It was amazing that Singapore's bid had so much support amongst the business commentariat when Wayne Swan was right to declare the decision to block it a "no brainer"
When you regularly contest elections and accept speaking gigs, the time was always going to come when these two worlds would collide. And so it was at the Australian Shareholders' Association annual conference earlier this month. The previous CEO of the ASA, Stuart Wilson, invited me to give a keynote address at the conference on April 5 at the Crown Promenade hotel in Melbourne. What wasn't known at the time was that I'd be formally nominating for the board of ASA at the AGM to be held in Adelaide on May 18. Lo and behold, the notice of meeting went out a couple of days before the conference and I found myself in front of 300 ASA members being asked about the tilt at the end of the presentation. Adding to the sensitivity of all this was that I'd applied for the job of CEO at the ASA last November, but the board opted for Vas Kolesnikoff. Vas seems like a strong performer who will bring some new energy and ideas to the management of the ASA. Stephen Mayne (BCom, Uni Melb) is a member who has nominated for the ASA board with the intention of making a constructive and collaborative contribution after spending the past 13 years becoming Australia's best known shareholder activist. Stephen is a Walkley Award winning business journalist who spent 10 years working for major metropolitan newspapers in Melbourne and Sydney as a reporter, business editor, gossip columnist and chief of staff. In 2000 he founded Australia's best known independent ezine, Crikey.com, which he sold after 5 years but still contributes to today. He currently publishes the corporate governance ezine www.maynereport.com. Stephen has asked questions at almost 400 AGMs since 1998 and has discussed shareholder, business and governance issues during more than 1000 radio interviews and more than 100 television appearances. He owns small stakes in more than 650 ASX-listed companies, giving him a unique perspective on shareholder communications. As a former press secretary in Jeff Kennett's media unit and a current councillor at the City of Manningham in Melbourne's eastern suburbs, Stephen understands government, media and public relations. Stephen believes he can add value to the ASA board in areas such as policy development, monitor training, internet strategies, membership recruitment, advocacy, public relations, AGM questioning, voting recommendations, shareholder resolutions, publishing and guest speaking. He is the ASA monitor for four ASX200 companies and has spoken at several ASA forums over the years. The key issue for the ASA board was whether to endorse this first ever outside nomination. In the end, they've remained absolutely neutral, which is appropriate in the circumstances. Meg Simons wrote in Crikey today that Mac Bank still handles ABC/SBS transmission. MCIG was sold to Canadian govt for $7.5bn in 2009. Huge ads in The Oz and AFR from Seven gloating about ratings success. Leckie is seeking to divert attention from Warburton court fight. Attended directions hearing at VCAT for appeal by our former deputy mayor Fred Chuah against 3 misconduct findings. Delayed until June 3. 3 hr Rio AGM just finished. Board flogged on wide range of social and enviro issues prompting chair to close with "great company" spiel. Former CEO Peter Viner has quit Ten board. He's had enough of Lachlan Murdoch and the "buy 10% and get a board seat" billionaire club. Adelaide Brighton chairman Chris Harris just called spruiking the appointment of first ever female director, Arlene Tansey. Well done Chris! Good to see Exxon and BHP (combined value $700bn) are being slugged $1bn in back tax for attempting to dodge Bass Strait RRT for a decade. Only 63% of proxy votes supporting WA News' Seven purchase is a lousy mandate. But, majority rules, so Stokes pulls off another dodgy deal. Leighton capital raising fails to offer retail investors chance to buy extra & also fails to pool the insto and retail shortfall bookbuilds. Very strong edition of The Weekend AFR today - really interesting features on union thug Bill Ludwig and pokies billionaire Bruce Mathieson. Just did ABC Melbourne strongly defending Wayne Swan on ASX move and agreeing it was a no brainer. What were they smoking trying this on? Very sad to hear that Macquarie's legendary chairman David Clarke has passed away today. He was one of the greats and terrific at AGMs. Disappointing that Foster's has inserted clause in constitution of demerged wine business which puts barriers in way of board challengers. Disappointed News Ltd has refused to publish my comment about coming Ten EGM over Bolt under Mandy Meade yarn in Oz. What about free speech? 83 mins into Ten conference call. Just admitted $7m in exec payouts. Journos now starting. Will they ask about Warburton and Lachie salary? Paula Piccinini, the barrister, RACV director and super-mum behind all that happens at The Mayne Report, has decided to take her career in a different direction and is doing a mediation course. It seems that Government policy is sending more and more old Family Court disputes through compulsory mediation by the likes of Relationships Australia, which isn't a bad thing. This formal mediation qualification could come in handy at both Manningham Council and with some shareholder activism situations. By the end of this year, Paula will be looking for some paid employment in this area and in the mean time, she remains busy as secretary of the local school council and a director of EDVOS, the Eastern Domestic Violence Service where she serves in a volunteer capacity. The kids have had an excellent first term at school and we're currently half way through the school holidays. On Sunday we had our first crack at cross country running in Ruffey Lake Park and both Laura, 9, and Alice, 7, are keen to sign up. Philip, 6, is giving soccer a go this winter. Laura will be back into competition tennis this winter and Alice collected a gong in long jump in the final Little Athletics meet of the season. As the kids get older, the day will soon come when Laura will be on her feet at an AGM firing a question at an unsuspecting chairman. And with the endless hours they spend on the internet and Ipads, it won't be long before they'll be helping out with the multi-media elements of the website, such as video production. That's all for now, until we're back with the next bumper free monthly email edition in May. If you'd like to guarantee receipt of any special editions before then, the best approach is to make a small donation. * The Mayne Report is a multi-media governance website published by Stephen Mayne with occasional email editions. To unsubscribe from the emails click here.